Boolean networks are qualitative models of regulatory processes that represent the state of a node by a simple bistable switch, e.g. genes can be transcribed or not transcribed. Although being highly abstract, Boolean networks have proven to approximate the real nature of gene-regulatory processes well. Illustration: © 2012 Springer, Paper: M. Hopfensitz, C. Müssel, M. Maucher, and H. A. Kestler. Attractors in Boolean networks – a tutorial. Computational Statistics, 28(1):19–36, 2013. The research of our group covers the complete process of construction, analysis and simulation of the networks. This includes approaches for the binarization of time series measurements, inference of networks from such time series, literature-based network assembly, simulation and attractor search. M. Grieb, A. Burkovski, J. E. Sträng, J. M. Kraus, A. Groß, G. Palm, M. Kühl, H. A. Kestler. Predicting Variabilities in Cardiac Gene Expression with a Boolean Network Incorporating Uncertainty. PloS one, 10 (7), e0131832, 2015. A. Naldi, P. T. Monteiro, C. Müssel, the Consortium for Logical Models and Tools, H. A. Kestler, D. Thieffry, I. Xenarios, J. Saez-Rodriguez, T. Helikar, and C. Chaouiya. Cooperative development of logical modelling standards and tools with CoLoMoTo. Bioinformatics, 31(7):1154-1159, 2015. M. Hopfensitz, C. Müssel, M. Maucher, and H. A. Kestler. Attractors in Boolean networks – a tutorial. Computational Statistics, 28(1):19–36, 2013. M. Hopfensitz, C. Müssel, C. Wawra, M. Maucher, M. Kühl, H. Neumann, and H. A. Kestler. Multiscale binarization of gene expression data for reconstructing Boolean networks. IEEE/ACM Transactions on Computational Biology and Bioinformatics, 9(2):487–498, 2012. M. Maucher, B. Kracher, M. Kühl, and H. A. Kestler. 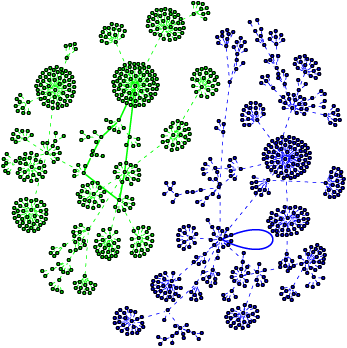 Inferring Boolean network structure via correlation. Bioinformatics, 27(11):1529–36, 2011. C. Müssel, M. Hopfensitz, and H. A. Kestler. BoolNet - an R package for generation, reconstruction, and analysis of Boolean networks. Bioinformatics, 26(10):1378–1380, 2010.